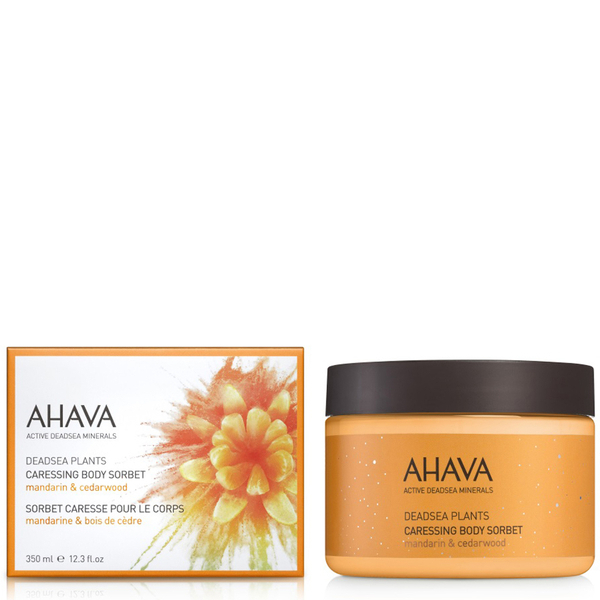 Deeply nourish skin from top to toe with AHAVA's Caressing Body Sorbet. Harnessing the powers of minerals, vitamins and plant extracts derived from the Dead Sea, the rejuvenating cream-gel formula absorbs quickly into skin to deliver long-lasting hydration, whilst Vitamin E provides antioxidant benefits to defend against free radical damage. Skin is soft, supple and subtly scented with uplifting notes of Mandarin and Cedarwood.